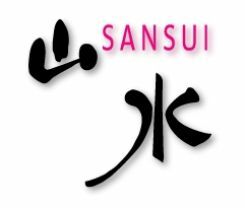 SANSUI Japanese Cuisine to own the various faces from a restaurant to a bar from real Japanese food to creation food. Furthermore, We aim at eating and drinking entertainment and continue changing every day from now on! SANSUI JAPANESE CUISINE is tucked upstairs on the side of the Stamford Plaza Hotel.Step inside and leave the stress of the city behind.You are greeted by a tranquil,restful restaurant with very traditional,simple decor and very attentive staff.Choose from a tantalising array of Japanese dishes on the extensive menu,offering everything from sushi,sashimi,tempura and set dinnere.Open for lunch from Monday to Friday,and for dinner 6 days from Monday to Saturday. In an atmosphere settled down, I have you enjoy real Japanese-style dish and gorgeous creation food to the full at night. Not to mention an a la carte menu, the recommended course of the chef has a favorable reception, too. you use it by business or a date, the use that, besides, is various. Monday to wednesday we will take a last order for food at 22:00,but Thursday to saturday we take a food last order at 21:00 after then we drops illumination in the restaurant, and an atmosphere reverses itself and turns into BAR "SANSUI"
As for the menu, liquor is Main. We offer cooking food and the tidbits at a reasonable price. We do business until late-night 26:00. Please feel japanese life style. Please get a healthy by our yummy food♪ Anyway,please eat our sushi♪ The tempura which we finished with great deal of effort. Naturally fresh SASHIMI!! ☆★　Happy Meal　★☆ Deep fried juicy chicken with spicy sauce,Sushi,Sashimi,Cold entree,Steamed rice and Miso soup $24 →→　$14!! New Menu - We start just seasonable menu!! $36 →→　$30!! 休　日 Saturday's lunch, Sundays and Public holidays are closed.